There’s something inherently cosy in vintage style. Maybe it’s an overall visual impression filled with romantic details. Maybe it’s a strong sense of nostalgia that reminds us of some better, less troubled times. Not to mention that opting for this timeless approach will save you from the design dilemmas in many years to come. But, can this approach work in your bathroom, a place you don’t immediately associate with the words nostalgic and romantic? Of course. All you have to do is to follow these few tips. The choice of tiles can easily sell any look you may try to achieve in a bathroom. Vintage style is no exception. But what we consider to be “vintage tiles”? Well, you will be able to get away with any floral, hexagonal, and basket weave pattern for the floor and regular solid colour tiles for the walls. Soothing beige, ethereal white, soft green, sky blue or any other neutral or pastel colour from the vintage catalogue should fit this scenario quite nicely. 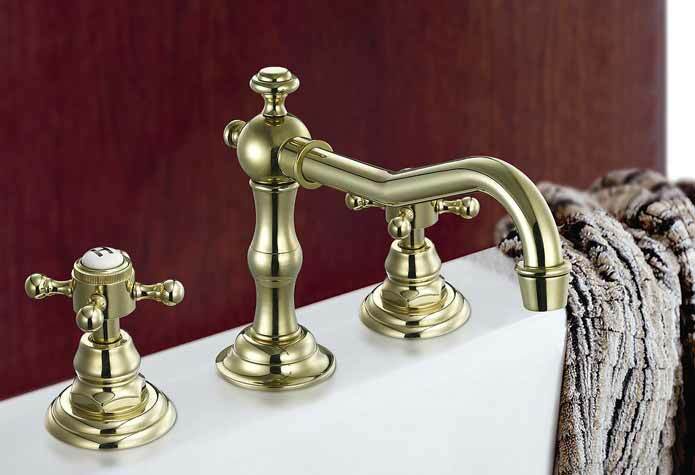 Vintage style is deeply rooted in the times when in-house plumbing was scarce. 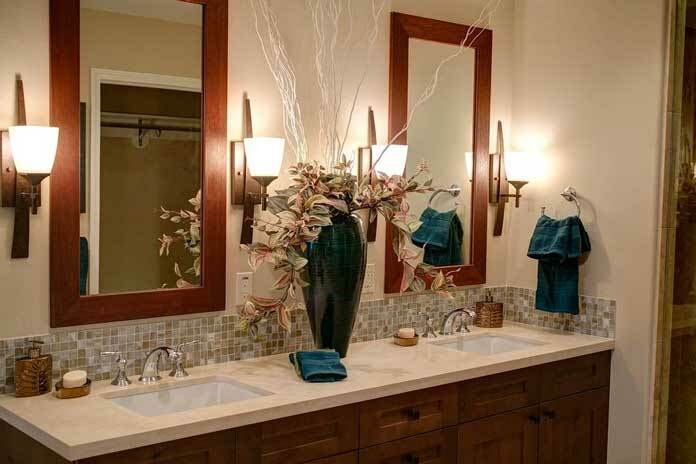 Your bathroom fixtures should emulate that old-fashioned detached and improvised vibe. That means that, if you want to nail down the look, you should use combined forces of a Victorian pedestal sink, claw-foot tub made out of smooth porcelain and toilet with a detached tank and chain handle. If you can’t afford them all, any of these fixtures will be more than helpful. Here’s an excellent opportunity to work out your DIY muscles. A vintage look is easily achieved if you just paint your cabinetry in some appropriate colour (this time you should probably go for white) and use some soft sandpaper to gently sand the edges and make them look worn out. If you want to, you can even use an antiquing glaze to underscore the entire effect. On the other hand, if you don’t want to go that far, any cabinet piece made from varnished wood will do job more than well enough. 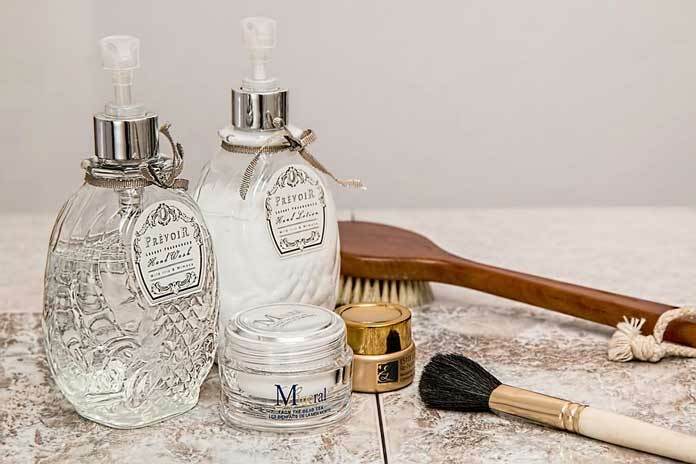 Is there anything more vintage than an old-fashioned Victorian or art deco spa? Hardly. And the best thing about this is that the only few things you need to do in order to emulate this look is to organize bathroom products into elegant cane baskets, bring in few spa products with vintage home-made labels and plants coupled with appropriate pots, and hang few cozy bathrobes. If you have enough room to move in a rocking chair and vintage lamp, even better. Shiny metals like chrome are very closely associated with the modern, minimalist look. Since that is the last thing you want to achieve, you should replace your existing pipes and smaller fixtures with their less contemporary looking oiled bronze, wrought iron or copper alternatives. Fortunately, any reliable emergency plumber can do this instead of you and save you a lot of trouble. By that, we mean all the items that are not necessary but the ones that can perfectly underline all of your previous efforts. Go to the nearest flea market or the thrift shop and look for the items like gramophones, oval mirrors with flamboyant ornate frames, old chandeliers, individual light fixtures that can be hanged on a wall, rag dolls and all the other similar items that remind us of the past. All these details will give your bathroom a much-needed sense of uniqueness and personality. You see, it’s not that hard. Once you’re done, your bathroom will finally be in tune with the rest of your house. Now get to work. Your vintage paradise is just few upgrades away. Previous articleWhat Do You Know About The Ten Most Expensive Jewelry Brands In The World?